After watching an epic Super Dragon Ball heroes Episode 3, it becomes clear that the Prisons Planet is not ready to handle Evil Saiyan power. As per title of Super Dragon Ball Heroes Ep 4, ‘Rage! Super Fu Appears!’ clearly talks about Fu to appear in this episode. This also makes it clear that we will see how Fu’s unveils his Super Fu power. It was quite obvious to see Fu in the battle field with his full power, which he is hiding from everyone & in this episode will see his Super Fu form. 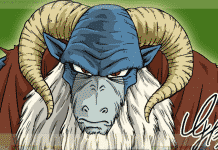 We believe that Fu is even powerful than the Evil Saiyan as he is the one to get him in the Planet with his bare hand. In this episode we will see how Fu battle against the Evil Saiyan’s transformation with all his power. As the Prison Planet is about to collapse, we will see how Super Fu will manage to save his planet and also defeat the Evil Saiyan at the same time. 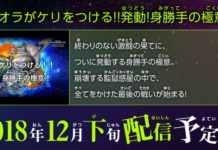 Talking about the Black Goku, the rumors says that we will see Black Goku in this episode. 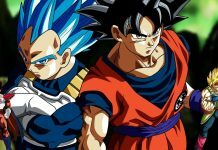 It is expected that he will be playing the major role that we will see in the last episode of Super Dragon Ball Heroes Episode 5. Where as the release date for Episode 4 is concern, it has been confirmed that Episode will release before then end of this month. Super Dragon Ball Heroes Episode 4 will be released by the end of September and in this episode we will see Fu in full action releasing his Super Fu Power.